I’m not much of a bourbon drinker. I reserve my affection for gin, which makes me giggle and buy terrible poetry books. 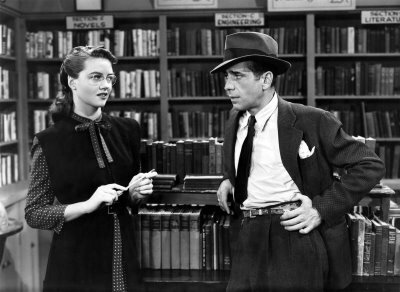 But Bois Bourbon is everything I could ask for in a perfume: a prominent saffron note, a sweet veil of heliotrope, a seamless cedar note, and a charming backstory (Luckyscent dedicates Bois Bourbon to Philip Marlowe, the wisecracking protagonist of Raymond Chandler’s electric The Big Sleep). I wonder if they’re thinking of the movie Marlowe, a glowering Humphrey Bogart who achieves Captain Kirk-like levels of macking on the ladies, or the ferociously bitter book version. While Bois Bourbon is obviously much more nuanced than your average glass of the brown stuff, it absolutely does evoke bourbon in a literal sense, so this isn’t for anyone who doesn’t enjoy boozy perfumes. 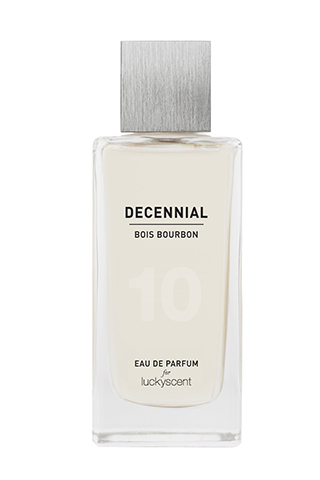 Lys du Desert is undoubtedly going to get the most attention out of the Decennial collection, being the only Andy Tauer creation, but I hope that Bois Bourbon isn’t overlooked entirely. 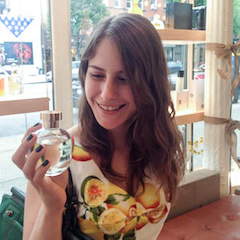 It’s the most wearable of the four scents, and awfully attractive. I love Bourbon and I love saffron. It sounds like this is going on the must sniff list. It is indeed a must-sniff for fans of those notes, baconbiscuit! If you have a chance to try it, please let us know what you think! This sounds nice. I like boozy scents. I have an untold amount of secret affection for Queen Latifah Queen, actually. But bourbon + saffron sounds divine. I’m not usually crazy about boozy scents, just because they’re often heavy. This one is somehow very light in timbre. Very impressive stuff! Oh man, definitely need to try this. Saffron, wood, boozy sounds fantastic! That’s another terrific one! The strange thing is that I’ve only ever smelled saffron in perfume, never food (there wasn’t much Indian or Spanish cuisine in my neighborhood when I was growing up). Whoadang–you totally need to try paella! YUM! My pleasure! 😀 I think this would make a stellar gift for a bourbon lover. And for anyone else interested in Decennial gifts, Luckyscent is selling a sample pack of all 4 scents! It really intrigued me by its alchocol note, that’s why I asked you about Fou d’Absinthe. I especially love saffron note since it’s beautiful…Who knows if I’ll be able to try it soon!